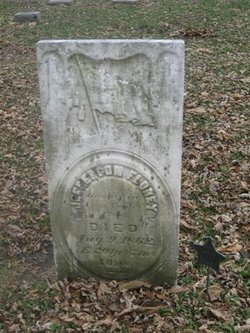 Note: I have put this symbol next to the name of any Serviceman who was also a Prisoner of War … and included what details there may be regarding his captivity. Hope that this might perhaps remind us all about the tragic events of 150 years ago … and the painful conflict and division that accompanied it. 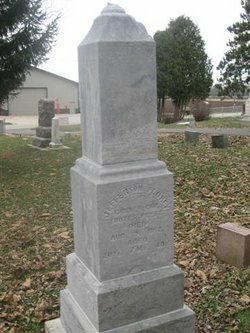 Photos below are from his family’s tombstone to be found in Turtleville Cemetery, Turtle Township, Rock County, Wisconsin.